Casino Adrenaline does not exactly focus its attention on fresh and new ideas. Upon first visiting the site you are met with dapper looking men smoking cigars and elegant women drinking champagne. The idea that we all crave the Las Vegas Casino fantasy is not a new one, but it has been successful for other sites so it is no surprise that Casino Adrenaline decided to hop on this particular bandwagon. However, the navigation of the site is simple, the most popular games are right there on the homepage (or lobby, as they prefer to call it) and there are some nice promotions and offers to keep your interest. It isn’t a show stopping selection of promotions and bonuses, but there are certainly worse around and this could be enough to keep your interest if the games on offer stand up well enough. Many of the favourites from NetEnt (Stickers, Starburst, Spinata Grande, Dead or Alive, etc.) and Microgaming (Mega Moolah, the Dark Knight and Treasure Nile amongst others) are available at Casino Adrenaline, meaning that the collection of games will be appealing to the newbie as well as the seasoned veteran. Many video slots are available, as are a huge amount of table games, including various types of poker and roulette, there is also a good choice of video poker games. Bingo players are also well represented at Casino Adrenaline. 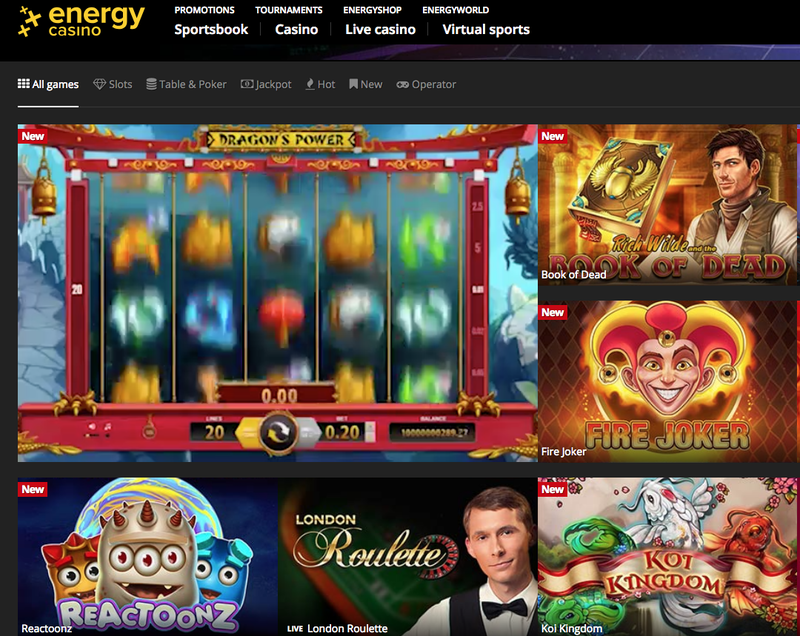 On top of this, the live casino games are authentic, well put together, and have some of the best live dealers around. This is one of the most accessible casino sites for mobile players, which is a huge selling point for Casino Adrenaline. Despite its growing popularity, mobile users are still left behind by many sites, and this is a niche that Casino Adrenaline has been happy to capitalise on.